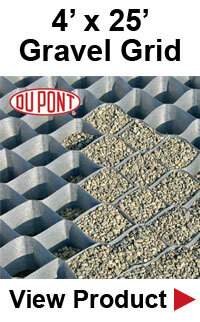 FREE SHIPPING on Orders of 125+ Pavers. 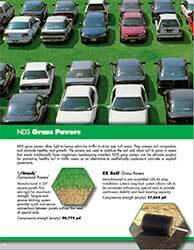 How does the NDS Tufftrack measure up against it's competitors? 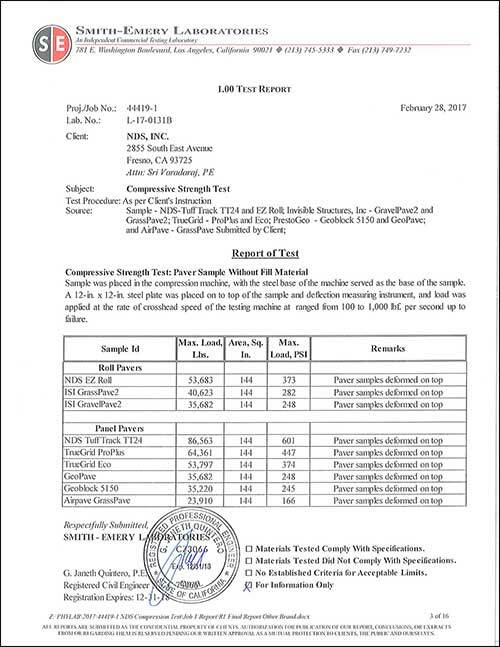 View the detailed 3rd party testing report. 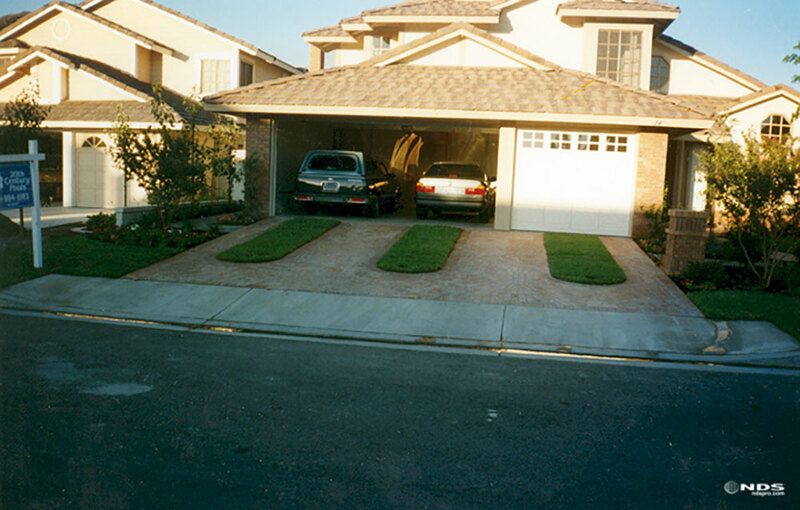 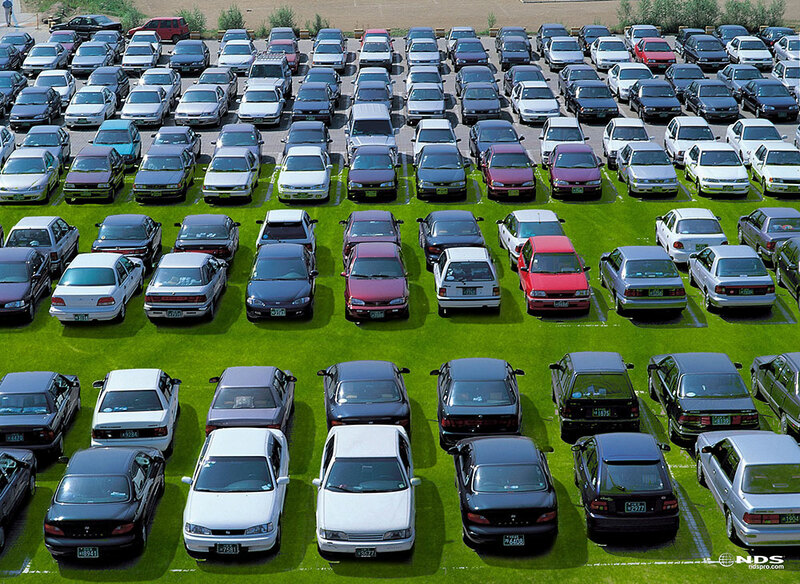 TT-24 Grass Pavers / Gravel Pavers are commonly used to widen residential driveways for additional vehicle parking. Large 2' x 2' size allows for a faster and easier installation than other smaller pavers on the market. 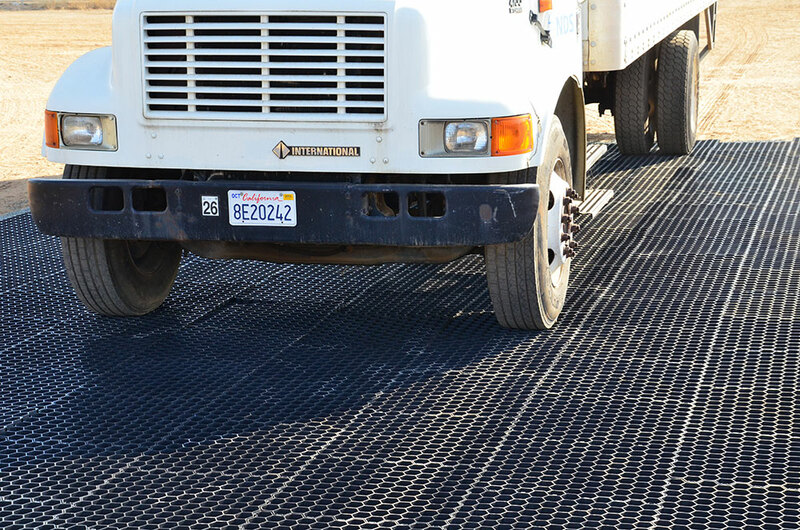 Tufftrack Grassroad Pavers are manufactured in rigid 24" square panels for maximum strength. 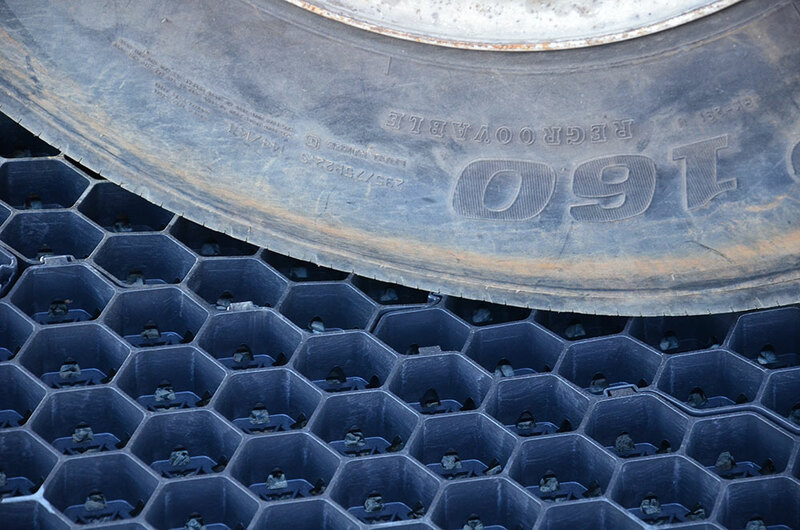 With a compressive strength of 81,744 psf, Tufftrack pavers stabilize the soil to support heavy vehicles like fire trucks while allowing turf to grow. 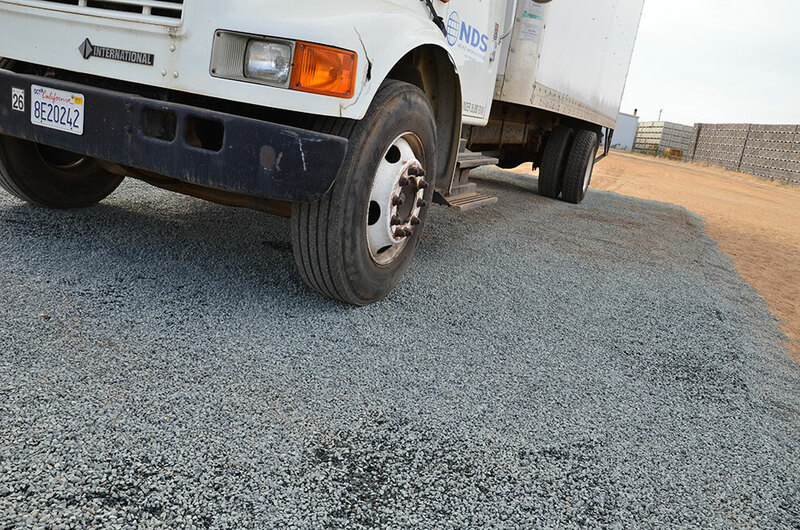 Manufactured from 100% recycled HDPE, these turf pavers are a sustainable solution for areas of high traffic that might otherwise be covered with asphalt or concrete. 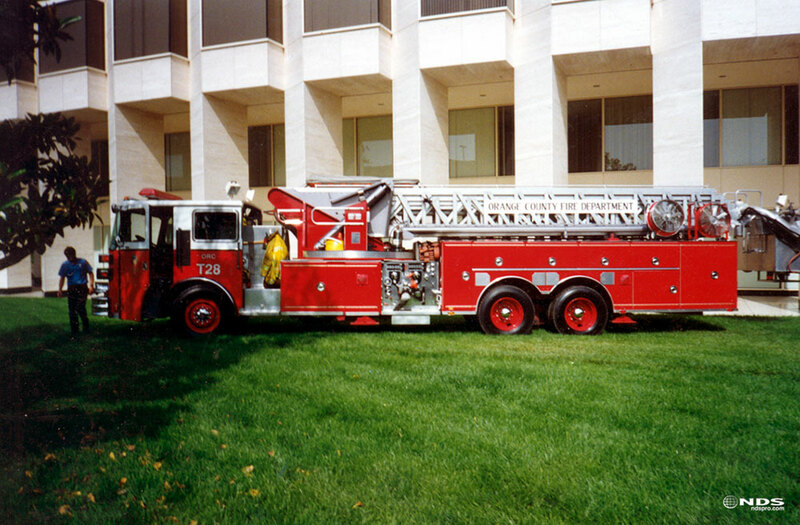 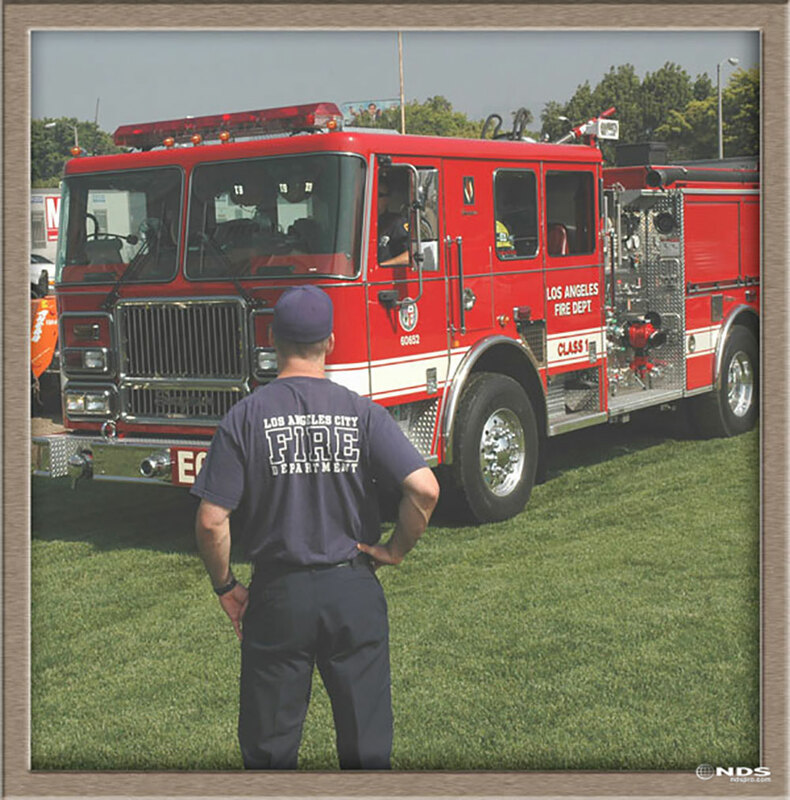 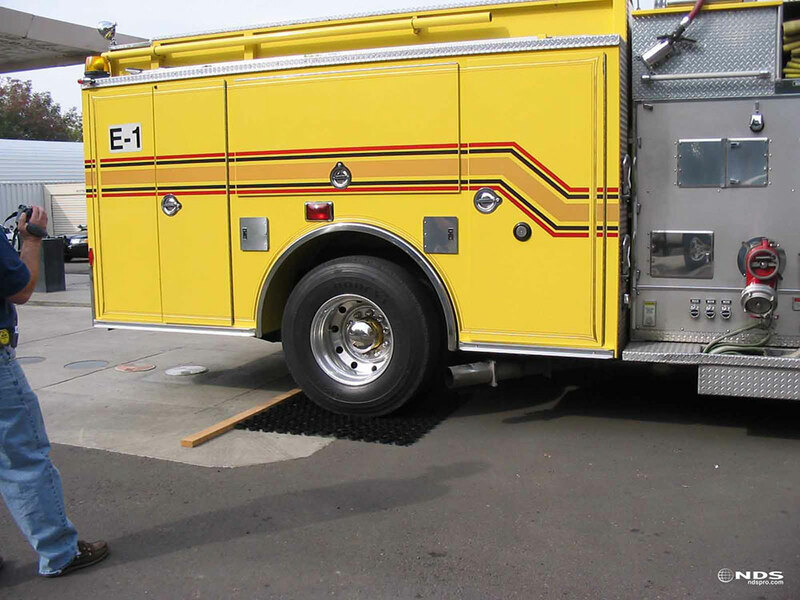 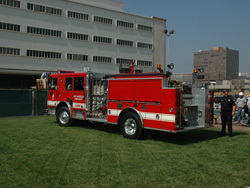 With a compressive strength of 81,744 psf empty, Tufftrack provides a permeable surface that is strong enough to support heavy loads such as fire trucks in grassy fire lanes. 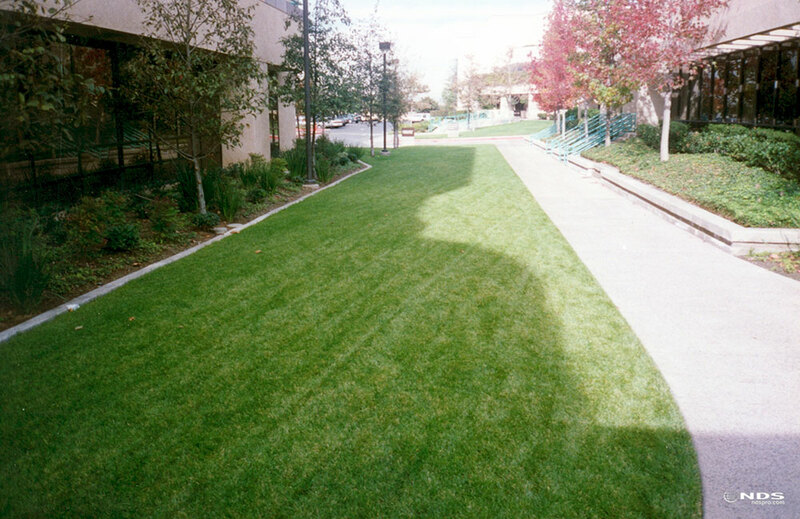 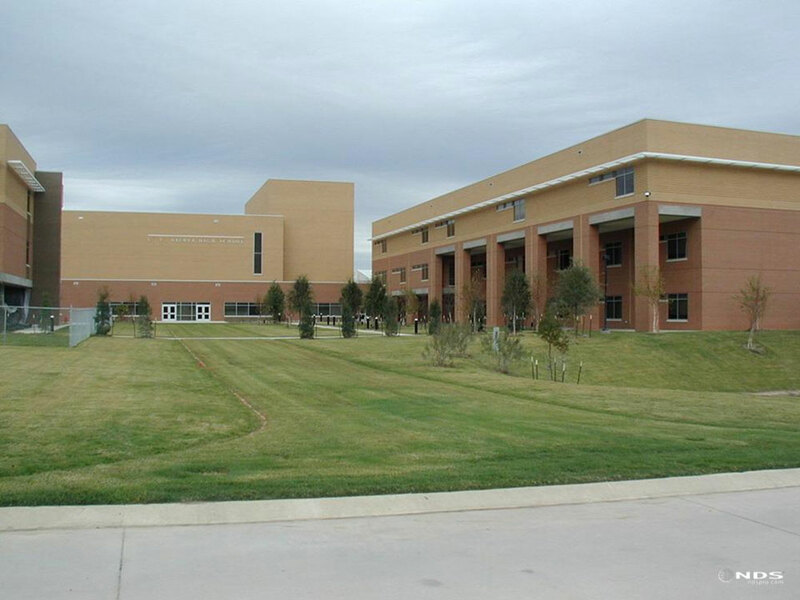 By preventing compaction of the soil in load-bearing applications, Tufftrack pavers allow grass to grow in areas that would otherwise be covered with asphalt. 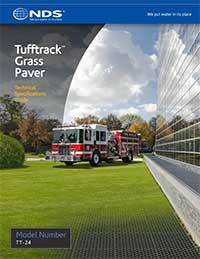 New Clip Design: The new Tufftrack paver panels feature a sturdy clip designed to make top-down installation easy. 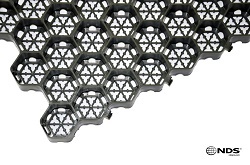 Simply place the male clips of one panel onto the female clips of the adjacent panel and push down to lock in place. 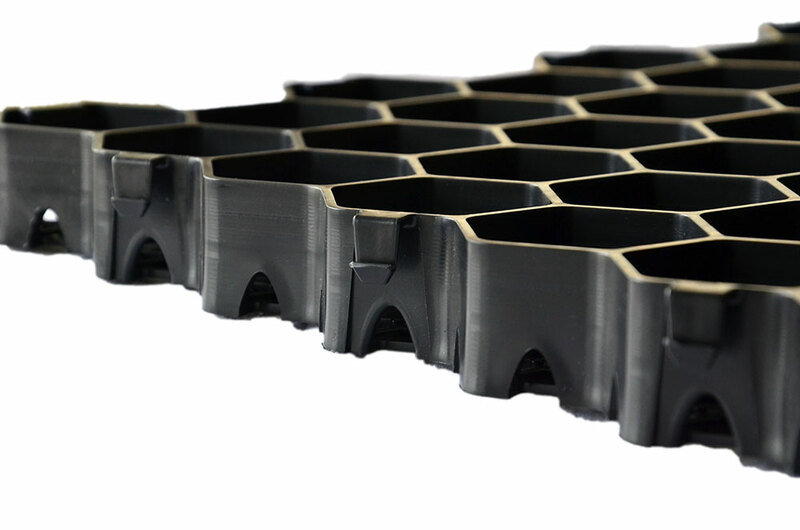 Webbed Cell Design: The new NDS Tufftrack is designed with a webbed cell that keeps fill material in place, preventing gravel from slipping under the paver and lifting the cells while still creating an environment that allows for root growth through the cell. 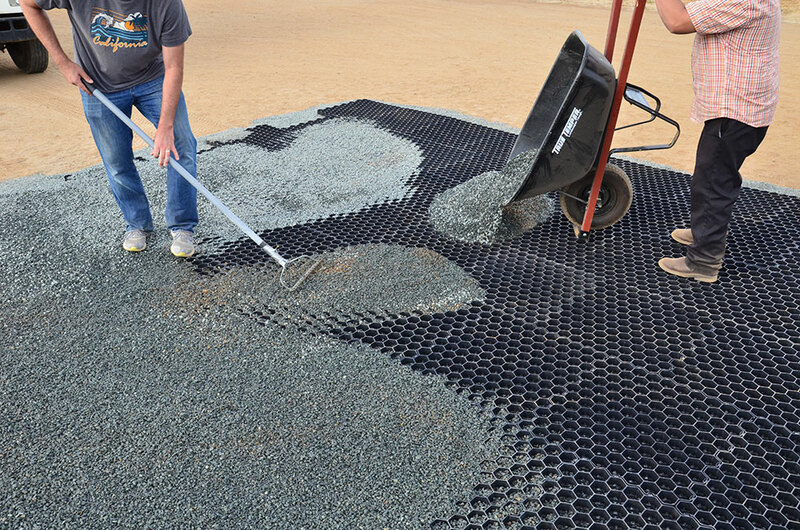 This makes the Tufftrack paver ideal for both grass and gravel applications. 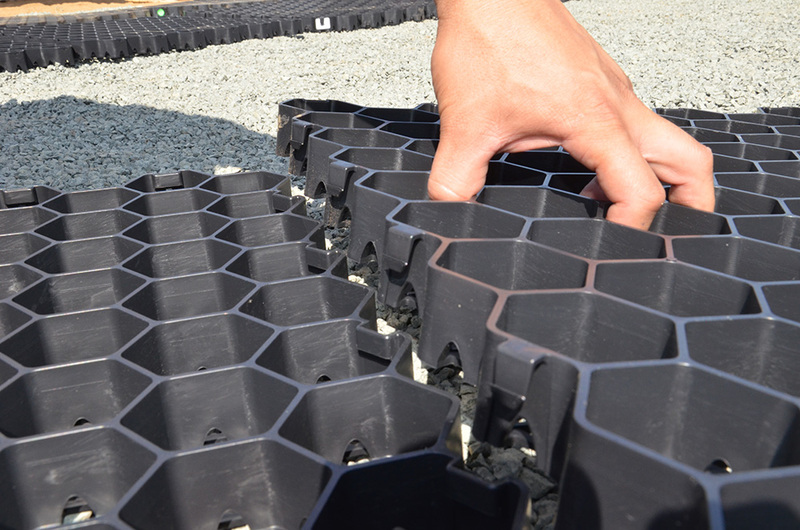 The TT-24 grass pavers can be placed either directly over soil with our without a sub aggregate base. 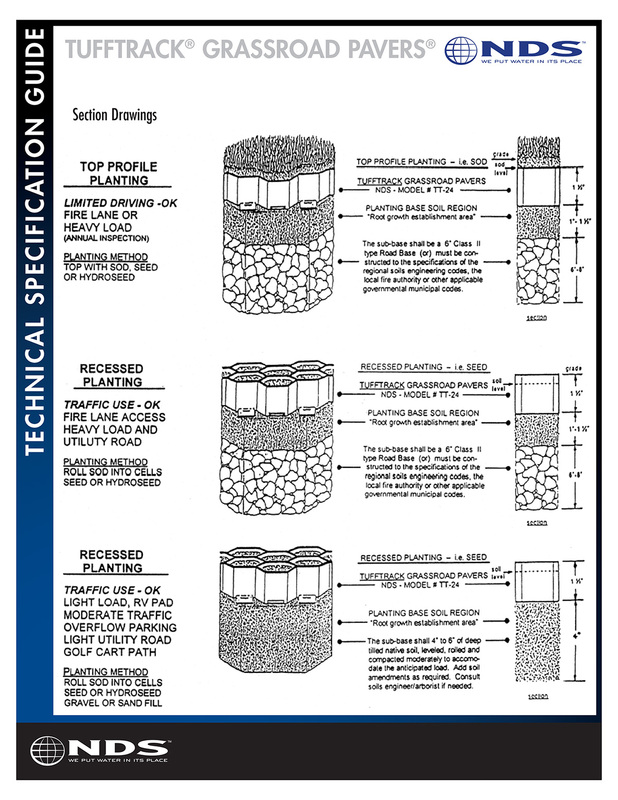 See diagram below for specific application installation recommendations. TT-24 Grass Pavers feature a webbed bottom to keep the paver from "cookie cutting" through the soil. 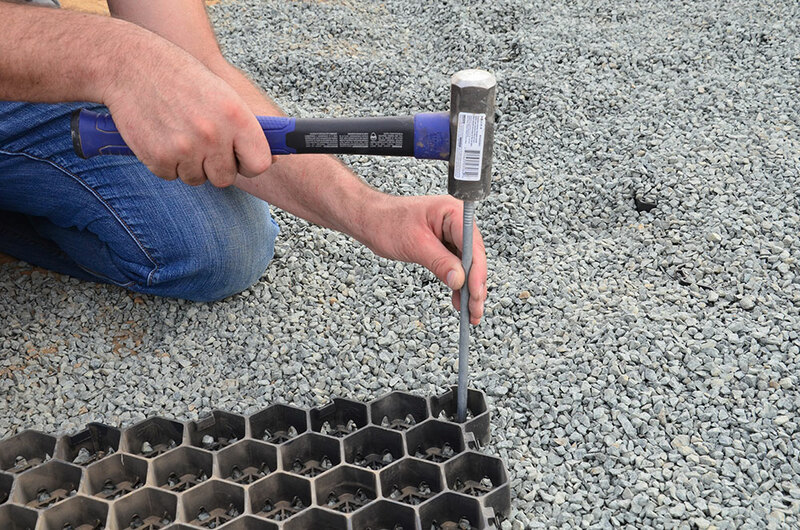 Unique tongue-and-groove clips are extremely easy to install, cutting installation time in half and reducing labor costs. 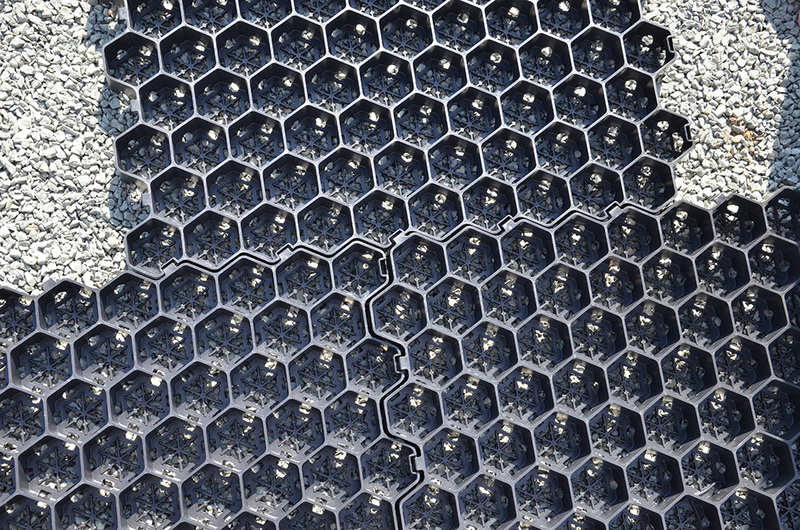 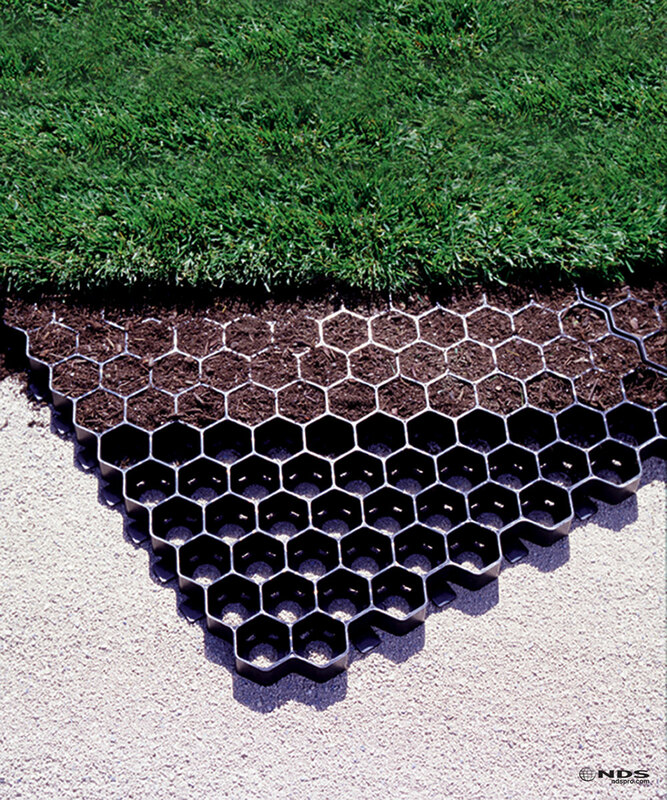 The reinforced grass root zone is protected by a grid work of hexagonal cells, allowing for healthy grass growth under strenuous conditions. 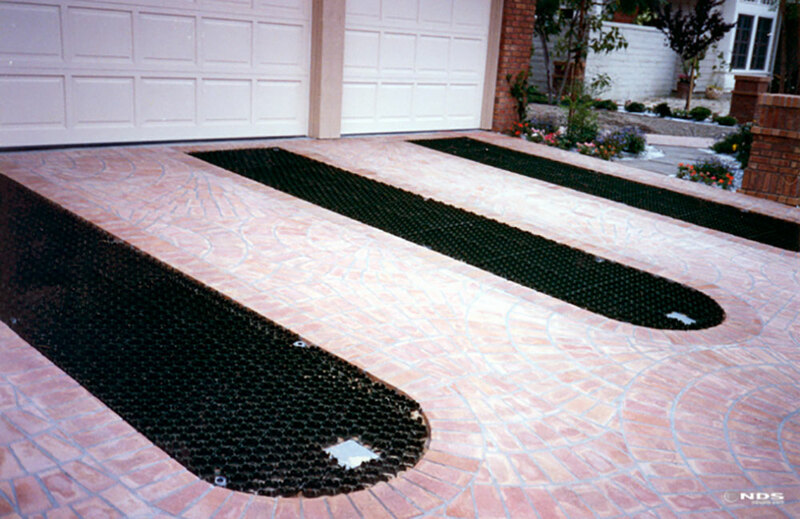 Tufftrack reduces demands put on landscape drainage system. 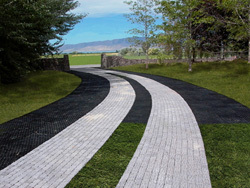 Utilizing Tufftrack is less expensive to maintain over time than traditional hardscaping. 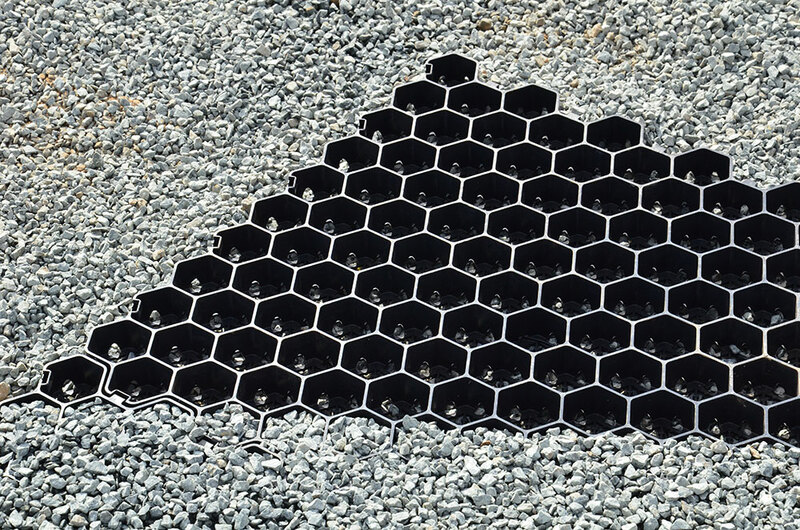 Tufftrack provides a more pleasing aesthetic than traditional hardscaping. 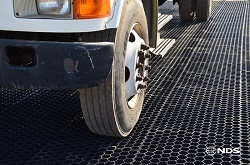 Tufftrack can be used for grass and gravel applications due to its webbed cell design. 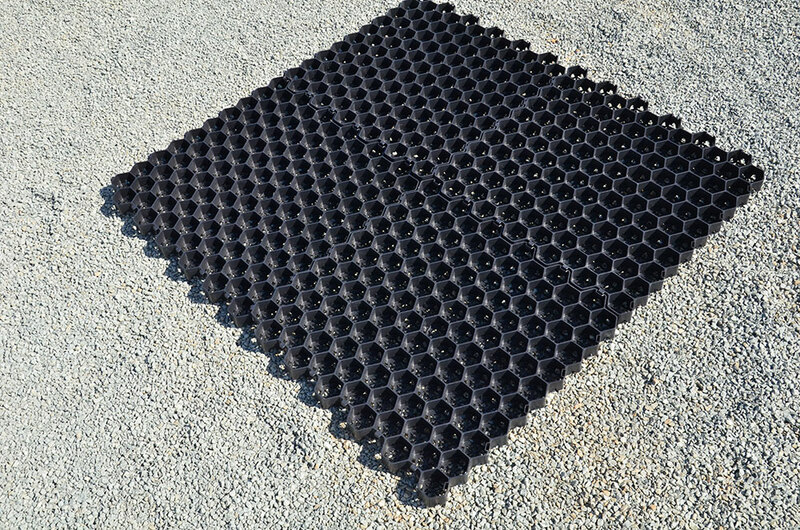 Quick delivery of this product made it possible for me to have an alternative approach to my garage without destroying the grass.